leaving you with this outfit which i wore last sunday! 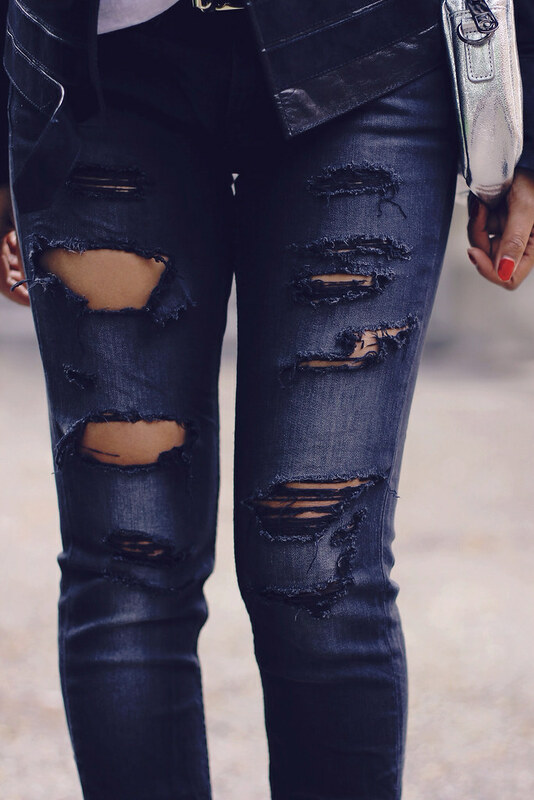 i will never ever get tired of ripped/ destroyed jeans. even though le boyf's grandmas scold me everytime i wear them. That jacket is everything! Love this edgy look! Awesome outfit, the jacket is such a cool piece!! So happy I stumbled on your blog. Loving your style, and that jacket is to die for! I totally adore your blog and this post is amazing! Oh wow, your style is awesome!! I am so glad I found your blog and I need to follow right away!